This is the matchup we all thought was going to happen, right? The Miami Heat vs Indiana Pacers was the NBA Eastern Conference Finals that we all thought & expected to see from the very start of this season. So why are we surprised? Because one of the teams in the ECF is just not playing their best basketball going into this series, & its the Indiana Pacers. There were so many times during the series against the Philadelphia 76ers & Washington Wizards that the Pacers looked as though they were out for the count. It took teammates, fans & media calling out Roy Hibbert to become motivated to play basketball, get over any alleged issue with Paul George or any other teammates & just go back to being himself – a dominant center on the defensive end who can occassionally give you some energy on the offensive part. 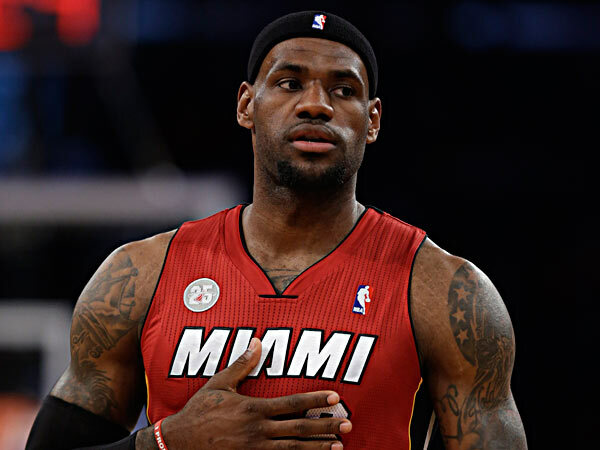 Can LeBron James lead the Miami Heat to a third straight NBA Finals appearance? 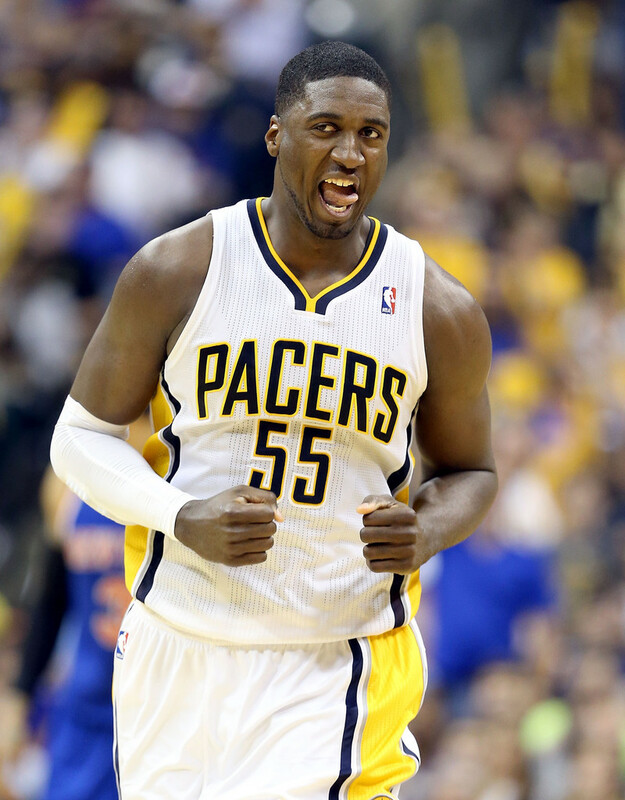 Hibbert had to get the idea down of hustling………..but not only him however. After Tuesday’s beating in Indiana where the Wizards outrebounded the Pacers by almost triple on their way to a victory to keep their playoff hopes alive, many people, including yours truly, just felt that if the Pacers were going to win this series, they have to show up & actually give a crap about all the talking they did all season about wanting the Miami Heat & having home court to take on the Heat & being able to beat the Heat now that they will have a possible game 7 at Bankers Life Fieldhouse. Now is the time for the series this Sunday afternoon on ABC, but why are we shocked? Because this Indiana Pacers team does not look like the team that was hungry for an NBA Championship last year. As for the Miami Heat, its like they have barely been in the playoffs. After dusting the Charlotte Bobcats in 4 games & the Brooklyn Nets in 5, the Heat have had a very smooth road to the NBA Eastern Conference Finals. There isn’t really any controversy this year, LeBron James is playing like an MVP, as we all guessed that he would. Dwyane Wade is turning back the clock & playing like the Wade from 2006 & Chris Bosh, Mario Chalmers, Birdman Andersen & others all are playing at high levels on both offense & defense. If the Pacers have any chance in this series against the Miami Heat, Roy Hibbert has to bring max effort EVERY game this series. Where the Heat will have a bit of a problem is getting motivated for the series. The Heat have 2 straight NBA championships, Dwyane Wade himself has 3 NBA championships & the team has been in cruise control all season long. The question is can the Heat turn the switch back on & take the intensity up to another level against a Pacers team who will be coming out swinging because they have to prove to the fans & to the media that they actually can compete with a team that isn’t young or will make the crucial mistakes at the end of the game & will take advantage of any lack of effort the Pacers may put forth. From the matchups standpoint, the Miami Heat will have the advantage in every area except for the center position & if the team puts Bosh on Hibbert, Bosh will draw Hibbert away from the basket, which will allow LeBron, Wade & others to get to the basket a bit easier. The key to the series will be whether the Pacers can match athleticism with the Heat, who will do everything to get the Pacers out to the perimeter to guard them one on one. The Pacers will be better working around the paint in the series, where they can use their length & size to bother the Heat’s shots a bit. If there is one area that the Heat can truly be beat at is if you make them a strictly jump shot team. If the Pacers are going to play tight defense on the players, the Heat players, especially on LeBron, Wade & Chalmers, are too quick off the dribble & will be able to easily create their own shots & they work well off screens & pick and rolls, taking advantage of the speed & quickness. A key individual matchup in the series will be LeBron James on Paul George & vice versa. The Pacers are going to need to help George on James throughout the series to protect James from foul trouble each game as the “King” will be working on getting to the basket quickly & often, either getting George in foul trouble or getting George so fatigued that there may be some weakness on the offensive end keeping up with LeBron on the outside or getting to the hole & having to depend on David West & Roy Hibbert to hammer James at the basket. If LeBron gets into a groove on George & get his move set down, that will be series, especially because the Pacers don’t have any other consistent scoring threat that has shown up this playoff year. Roy Hibbert has the ability to be, but he has to bring a consistent hustle for consecutive games against one of the most athletic teams in the league & I have to believe it when I see that. Overall, the Miami Heat, right now, are the better team & are playing far more energetic & consistently high level basketball & until the Pacers can show they can bring it each game, I won’t believe in them. The Miami Heat will get to the NBA Finals in 6 Games over the Indiana Pacers.